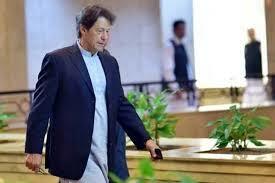 Islamabad: Prime Minister Imran Khan Monday left for Qatar on a two-day official visit to the country. 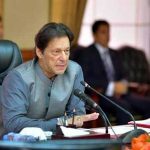 He is visiting at the invitation of the Emir of Qatar Sheikh Tamim Bin Hamad Al-Thani.Foreign Minister Shah Mehmood Qureshi, Finance Minister Asad Umar, Petroleum Minister Ghulam Sarwar Khan, Adviser to Prime Minister on Commerce Abdul Razak Dawood, Special Assistant to Prime Minister on Overseas Pakistanis Zulfikar Bukhari, Chairman Board of Investment Haroon Sharif and Chairperson Task Force on Energy Nadeem Babar are accompanying the Prime Minister. During the visit, the Prime Minister will call on the Emir of Qatar and will also meet his Qatari counterpart. Besides meetings with Qatari leadership, the Prime Minister will meet business and investment community of Qatar. The Prime Minister will also address Pakistani community during the visit.